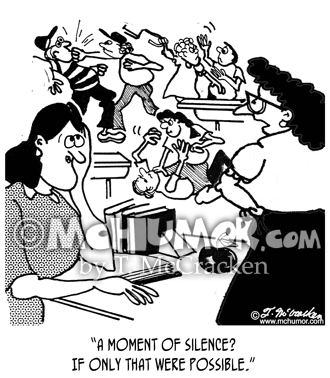 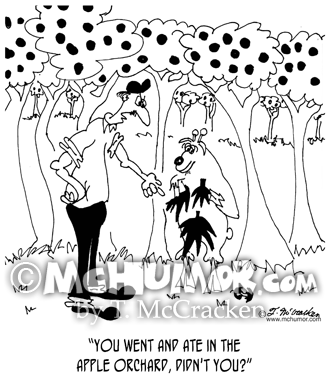 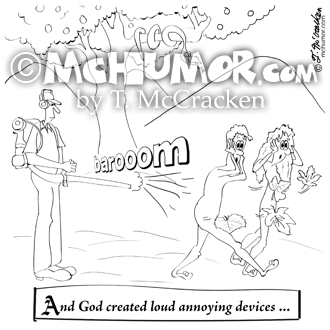 Leaf Blower Cartoon 9326: “And God created loud annoying devices ...” Adam and Eve flee Eden a man with a loud leaf leaf blower blows off their fig leaves. 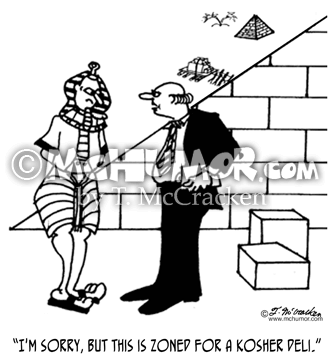 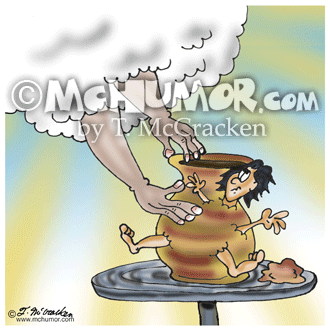 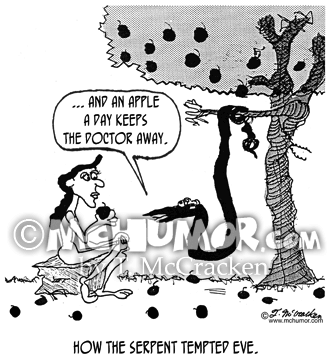 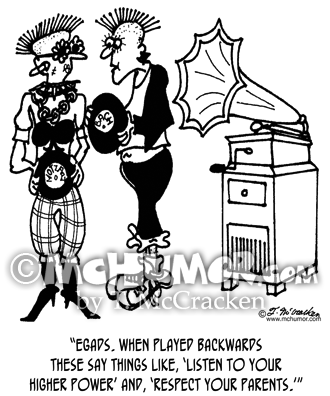 Pottery Cartoon 8203: God working clay on a potters wheel creating a vase with a person’s arms and legs sticking out. 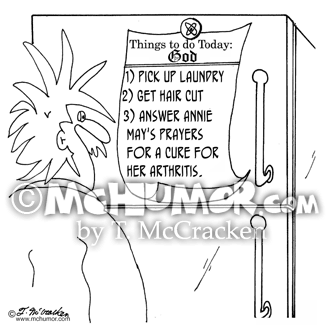 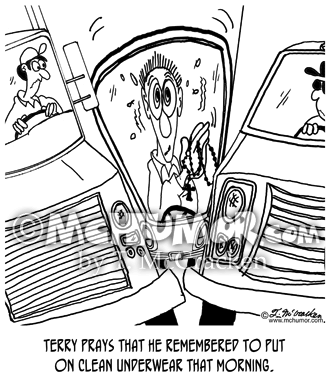 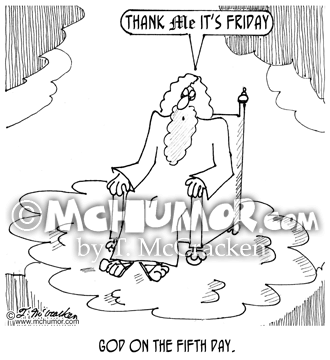 Prayer Cartoon 7370: "God's Refrigerator" On it is a TO DO LIST: 1) Pick up laundry 2) Get hair cut 3) Answer Ann Ferguson's prayers for a cure for her arthritis. 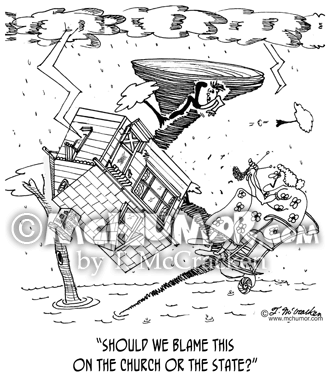 Religion Cartoon 7289: Man and woman swept up in a flood and tornado asking, "Should we blame this on the church or the state?"